The Disadvantages of Junk Food - Something New Everyday! Filling your diet with junk food causes an array of problems in your body. 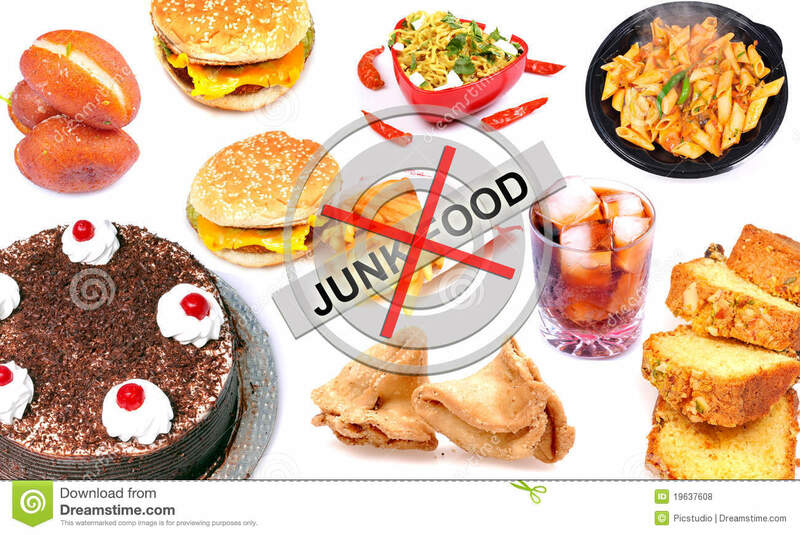 Junk food is often high in sugar, fat and calories, while providing very few nutrients. You can treat yourself to some ice cream or your favorite candy bar once in awhile, but keep your portions to a minimum. For optimal heart health, you should not consume more than 1,500 milligrams of sodium each day. You need some sodium in your diet to help maintain normal fluid balance, but too much sodium increases blood pressure and stroke risk. Eating junk food high in sodium, such as potato chips, french fries and pepperoni pizza, may increase your risk of stroke. A study by researchers at the University of Miami published in a 2012 edition of "Stroke; A Journal of Cerebral Circulation" found that the risk of stroke increases by 17 percent for every 500 milligrams of sodium consumed over the recommendation. For example, consuming 2,500 milligrams of sodium increases your risk of stroke by 34 percent. If you have a weakness for potato chips, opt for low-sodium or salt-free varieties, to lessen your sodium intake. Filling your diet with junk food may lead to weight gain. It takes an extra 3,500 calories in your diet to gain 1 pound of body weight. For example, consuming 500 calories from junk food each day can lead to 1 pound of weight gain in just a week. If you find yourself at the vending machine in the afternoon, pack healthy snacks the night before and bring them to work. Snack on whole fruit, wheat crackers and baby carrots with fat-free dressing instead. These snacks provide fewer calories than junk food, so you are less likely to gain weight. A diet rich in sugary sweets increases your chances of developing cavities. Tooth decay occurs when enamel, the protective coating on your teeth, starts to break down. Eating junk food with a high sugar content, such as soda, candy and baked goods, coats your mouth, gums, tongue and teeth with sugar. This sugar coating attacks enamel and leads to tooth decay and cavities. Avoid having a painful trip to the dentist by eliminating sugary snacks from your diet. If you drink soda, switch to a sugar-free variety. Lessen your risk of tooth decay by brushing your teeth after each meal or snack. Eating too much junk food might cause gastrointestinal problems. Processed junk food provides very little, if any, dietary fiber. You need fiber in your diet to keep your bowels moving. If you don't get adequate amounts of fiber, you may suffer from constipation. When this occurs, you may go for days without having a bowel movement or have difficulty passing stools. Put down your afternoon junk food treat and replace it with a fiber-rich apple, orange or bowl of berries. These fruits can curb your sweet tooth, while providing plenty of fiber to help keep you regular. If you need to replace salty snacks, opt for celery and peanut butter or air-popped popcorn. These savory options keep you satisfied if you are craving a saltier type of food. Taking Care of Your Teeth - How?